Speciality Metals International (ASX:SEI), formerly Carbine Tungsten Limited (ASX:CNQ), today advised that it will begin further exploration work for lithium brines and lithium (+borate) in northern Chile any day now. The programme, in Chile’s northern Atacama region, is aimed at developing new lithium targets following on from the success of its previous reconnaissance sampling in 2016. To date, SEI has been granted ten exploration concessions in two salars in the Atacama region and is awaiting the grant of a further group of exploration concessions by the Chilean Courts. The granting of these further concessions is believed to be well advanced and should come in the not-too-distant future. 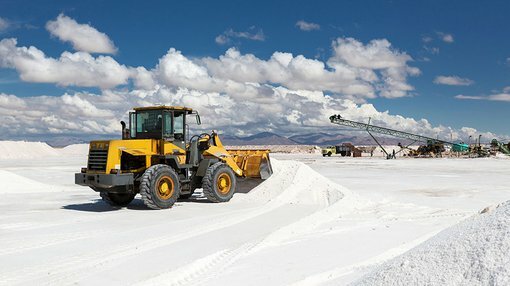 SEI’s search for lithium brines is focused on the salars because there is reason to believe that evaporation over time has concentrated lithium in ground waters trapped in these salars. The salars are formed in hydraulically closed basins formed by uplift and rifting of the western margin of South America. The fact that this evaporation has taken place is confirmed by the presence of modern salt crust and the historic nitrate and borax mining operations in the salars, both deposit types being the result of evaporation. The applications and granted concessions are all in salars in the central belt of northern Chile, all at an altitude of around 1000 metres, and the salars typically have a surface salt crust. The salars offer ideal situations for the construction of evaporation ponds on their flat surfaces, with the intention of pumping lithium bearing ground waters to the surface and concentrating the lithium by further evaporation in the ponds, prior to shipment to processing facilities. SEI will use its previous work and the upcoming assays from the current work programme to plan a drilling programme, which will test each salar to sample the ground waters at depth. It will also aim to initially confirm that lithium-bearing ground waters occur in the subsurface in areas where SEI’s previous surface sampling found conspicuously anomalous lithium, boron and potassium values in surface crusts and brines accumulated in surface depressions. As the lithium content in ground waters in these salars tends to increase in concentration with increasing depth, SEI plans to take the initial drill holes to depths of more than 100 metres. The company expects to find that the ground waters will be hosted by the Rio Loa Formation, which is composed of limestones, dolomites, sands and gravels. This formation was deposited during the Tertiary period in all the enclosed basins throughout this region and is itself partly evaporative in origin. SEI expect to commence its drilling programme once results from this reconnaissance work is received.